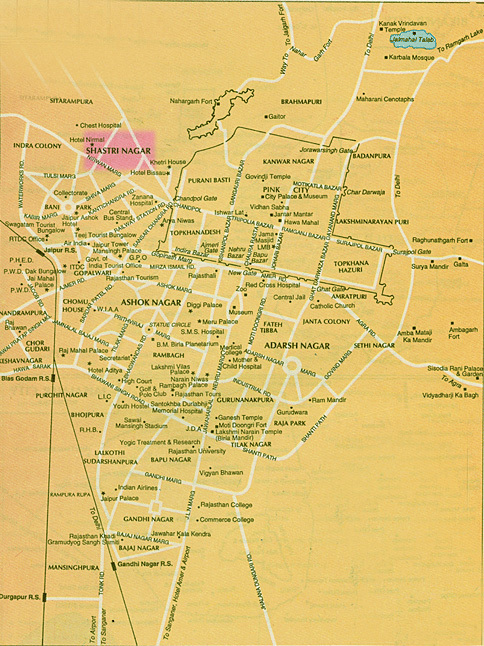 The school is located three miles away from the center of Jaipur city (Rajasthan) in the north western suburbs. Shastri Nagar is a growthing quarter, but fortunately far away from the noise and the pollution of the big city. Most of the students are coming from the nearby area.